June Li is founder and managing director of ClickInsight. She is also the creator of The Data Breakthrough Advantage Program™, a program that helps organizations large and small use analytics to innovately grow leads and sales. With an engineering degree from the University of Toronto, and an MBA from York University’s prestigious Schulich School of Business, June has more than 20 years of e-business, marketing and sales experience. From 1987 until she founded ClickInsight in 2005, June worked with Petro-Canada, one of Canada’s largest oil and gas producers. Before that, June worked with Gulf Canada, first on the product side of the business maximizing production efficiencies and later on the technology side re-engineering business processes. 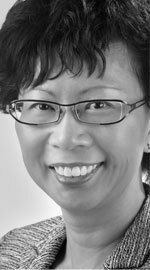 As a leading independent expert in her field and a Digital Analytics Association Certified Web Analyst, June is an instructor and a respected resource at University of Toronto’s iSchool Institute. At the University of British Columbia (UBC), she helped create their online Web Analytics Course Program, the first of its kind in the world. June is an internationally recognized speaker and a regular presenter at the Emetrics Marketing Optimization Summit and ClickZ Live. To encourage the use of analytics by business, June has taken a leading role at the Digital Analytics Association (DAA), was past co-chair of the DAA Certification Board and recently co-founded the first Canadian local chapter. In the past, June has served on both the Education Committee and UBC Program Advisory Council.